New Delhi / Kathmandu: The Indian government plans to spend Rs200 crore for setting up an integrated checkpoint shortly on its border with Nepal, as part of efforts to boost trade with the Himalayan country and other neighbours. The integrated checkpoint will have facilities for cargo handling, immigration, customs clearance, warehousing, banking, housing and parking besides hotels and border security. “The entire amount will be spent by the government of India. 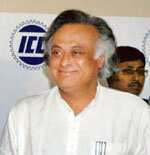 We have chosen this post (at Raxaul in Bihar) because the amount of trade at this post alone is around Rs1,000 crore per annum," said Jairam Ramesh, minister of state for commerce and power. The checkpoint, to be linked to Birganj in Nepal, is part of the government’s plans to set up 13 checkpoints on its border with other neighbours including Pakistan, Bangladesh and Myanmar. The government plans to spend Rs635 crore on these integrated checkpoints during the 11th Plan period ending 2012. Ganesh Prasad Dhakal, director general in the commerce department under Nepal’s ministry of industry, commerce, and supplies, said: “India has been supportive and efforts such as these will help in checking illegal trade. These posts will have every facility. If such facilities are also provided at other border checkposts, it will be very beneficial." India is Nepal’s largest trading partner. Of the Rs6,078.7 crore in total exports by Nepal in 2007-08 (15 July to 14 July), India accounted for 63.53%, or Rs3,862 crore. Similarly, of Rs22,611.6 crore of the country’s imports, exports from India were to the tune of 63.91%, or Rs14,452.4 crore. However, the value of unofficial trade, too, is pegged at similar levels. “We are insulated against global slowdown because our exposure to global markets is negligible. Even our currency is fixed against the Indian rupee. However, if India sneezes, Nepal will catch a cold," said Prithvi B. Pande, chairman and chief executive officer of Nepal Investment Bank, which is among the top three banks in the country. India has invested around Rs1,200 crore in Nepal, which is around 44% of the total foreign direct investment?in the country. The size of the Nepali economy is around $12 billion, with a current gross domestic product growth rate of 5.6%. The wholesale price inflation is at 12.9%. Nepal has $6 billion of bank deposits. Its per capita income is $470 per annum, around half of India’s. Its forex reserves of Rs21,262.3 crore are sufficient to support 11 months’ imports.